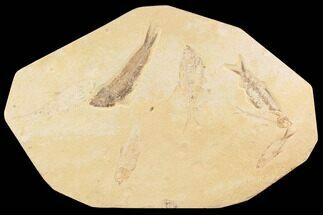 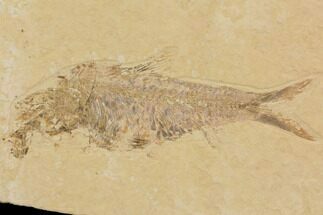 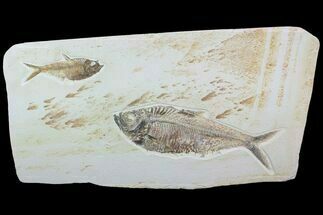 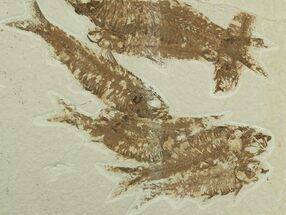 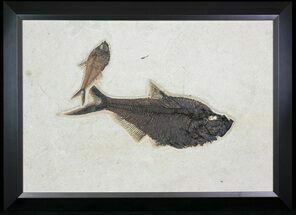 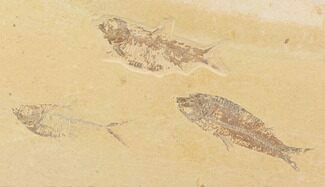 This is a 9.4" slab of shale featuring two fossil fish from the Green River Formation of Wyoming. 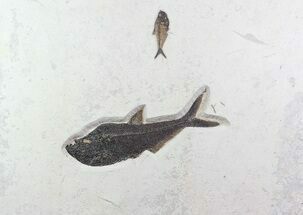 One is a Knightia eocaena and the other is a Diplomystus dentatus. 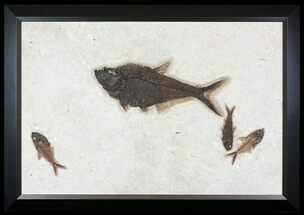 This slab was collected this past summer from Warfield's Quarry near Kemmerer, Wyoming. 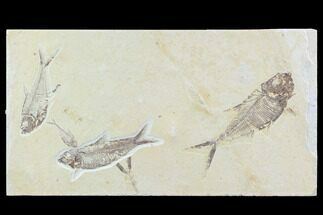 Both of the fish are highly detailed.